The staining process is one of the most important aspects refinishing hardwood floors as it highlights the natural beauty and texture of the wood. If you need your hardwood floors stained there is only one service provider you need turn to in South Shore, Ma—Taunton Floor Refinishing. Our experts always use the most up-to-date technology and high-quality products in order to stain your floors so that you are guaranteed the finest looking appearance possible. When you want the work of a professional flooring contractor, do yourself a favor and contact our experts for your floor staining needs. Not every contractor has the technical skill to properly stain hardwood flooring or to provide you with professional feedback that can aid you in selecting among the multitude of color options available that can underscore your personal style and interior design preferences. This is why our services are preferred to many of the others in Taunton. 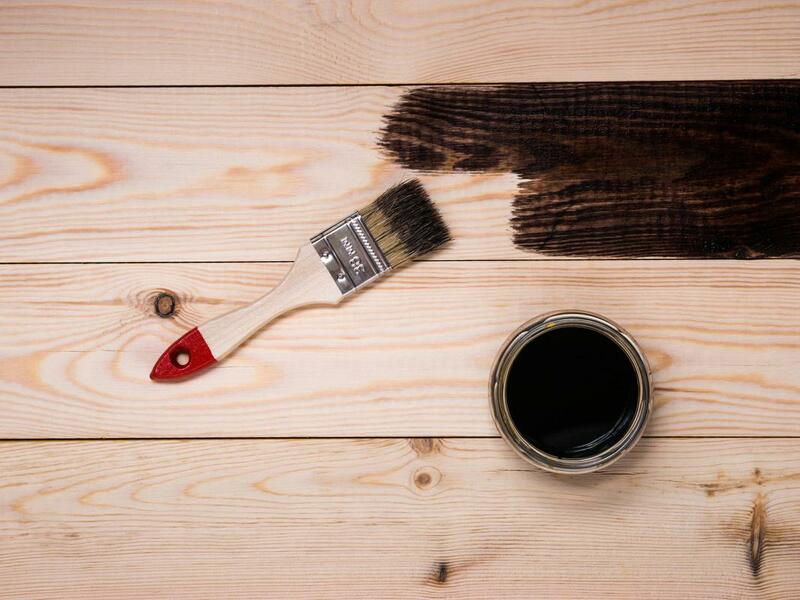 Our process for delivering the services that you want begins with our consultation process to help you select the stain that matches your personal style. We ensure that our expertise and staining methods result in your satisfaction. Staining your hardwood floors can seem like an overwhelming process because it has the ability to radically change the look of your home. That is why we take great care in helping you select the right one. There are hundreds of colors to choose from and we understand that not every one will have the desired effect you wish to achieve. Our flooring contractors have years of experience applying hardwood stains and they know the finished results each stain will have on a particular type of hardwood. We take time to evaluate your hardwood floors before applying any stains to ensure the floors meet the requirement for a particular process. Allow us to alleviate the stress of going it alone; we not only bring your hardwood floors back to life, but also provide you with results you will love for a lifetime. Now more than ever, the Internet encourages people to believe that they can accomplish any specialized task, even staining and finishing their own floors. While it is true that you can do this type of work, if you want the job done with consistent and beautiful results, it’s far more effective to rely on the professional service of Taunton Floor Refinishing. Hardwood flooring is a valuable asset in a home, and it’s just not worth the risk of your time and money to invest in poor quality workmanship. Our longtime experience staining floors will provide you with the appropriate information you need to help you select the right stain for your hardwood. Our team of professionals has spent countless hours staining various types of hardwood and their vast knowledge will be invaluable to you. Taunton Floor Refinishing has earned the reputation as the best floor refinishers on the South Shore. When you contact us, one of our expert conrtactors will promptly consult with you about the type of services we offer to address your concerns. After an evaluation of your flooring, we will provide you with a detailed estimate for our work plan that is fair and affordable.